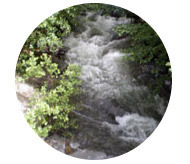 Visit the Case Study pages to read about the impact in each Case Study River Basin. BeWater selected four River Basins spread across the region in which to carry out Case Studies for the project. These are representative of various Mediterranean conditions with regard to climate, topography, environment, socio-economic and political conditions, land use and water demands. 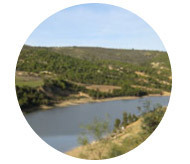 Studies carried out in these river basins can be extrapolated to other Mediterranean areas. 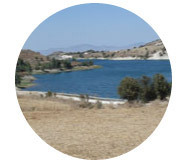 The Case Study River Basins (CSRBs) are located in the four cardinal points of the Mediterranean: Spain in the west, Slovenia in the north, Cyprus in the east and Tunisia in the south. 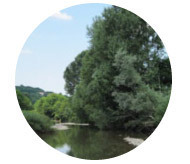 The selection of small river basins as case studies is essential for the BeWater approach. The choice of small areas provides a simplified complexity and facilitates understanding of the basic processes which underpin river basin dynamics. Small areas, highly monitored and scientifically assessed, facilitate the identification, establishment and control of cause-and-effect relationships among processes involved, enabling the design of a methodology which can later be out-scaled and extrapolated to more complex systems. Additionally, essential links between society and territory are much stronger at this spatial scale.